Yes....I know it's mid-late summer...but during this season I never really got around to making my deck "pretty." 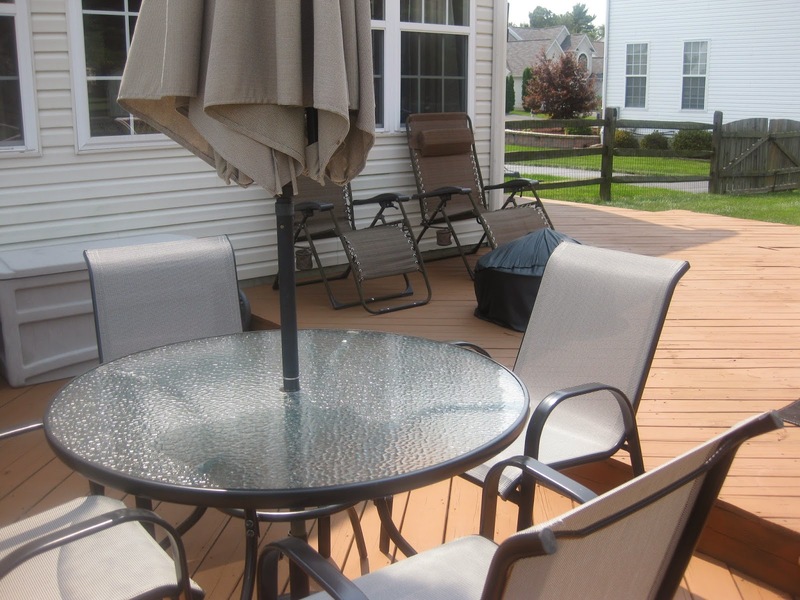 This deck has no decor and absolutely no color. And since its so late in the summer I really did not want to invest in anything new. So I decided to search my house and found many things to dress this deck up. It is amazing how many things are simply lying around the house being unused and wasted. 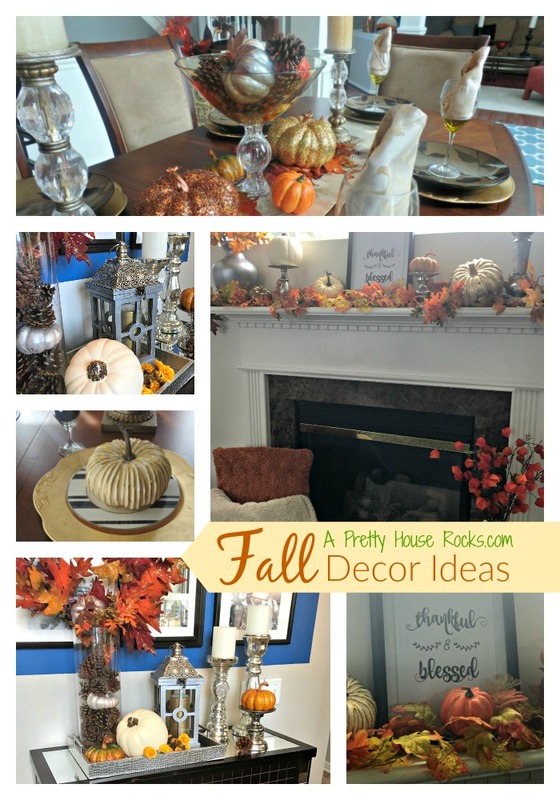 Re-using items is the best way to update your home on a budget. Decor leftover from years prior always looks good in a new location. 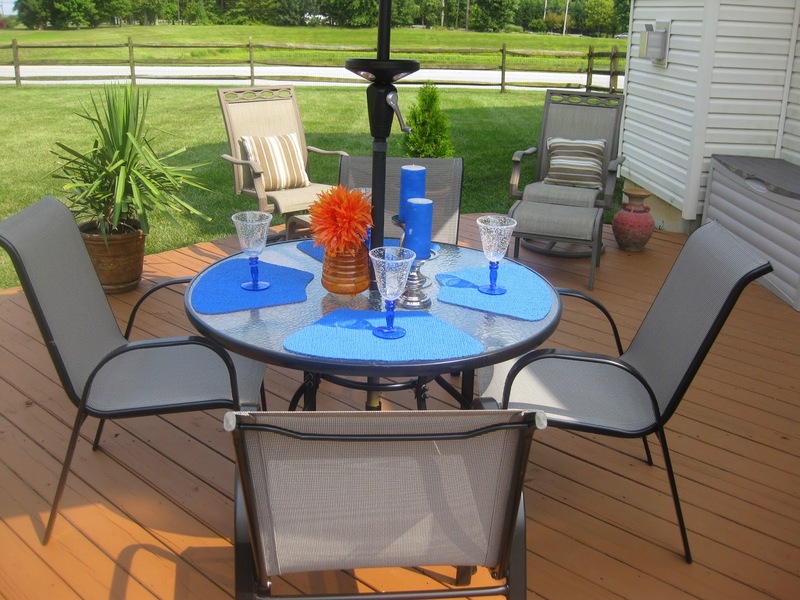 After shopping in my own home, I put these items to use with the hopes of making this drab deck more fun and inviting. I added some colored drink glasses and blue placemats, I've had these for about 8 years! I added these candles that I painted with blue acrylic paint last Christmas and the flowers were from and old artificial flower arrangement that I used to have in my sunroom. I already had the outdoor carpet, but I added these pillows and the orange ottoman from my family room. I actually bought the ottoman from Target last year and wasn't sure where to put it. Maybe I will be able to find a more colorful outdoor rug on sale at the end of the summer. The glass vase and artificial fruit I bought two seasons ago for Thanksgiving. Of course there is still more that I could have done...but I will save that project for next summer. Overall I think that this little remix looks pretty good! My family and I will put this deck to use as we close out the summer. I love this pretty house rocks. Merry Christmas to all of you!